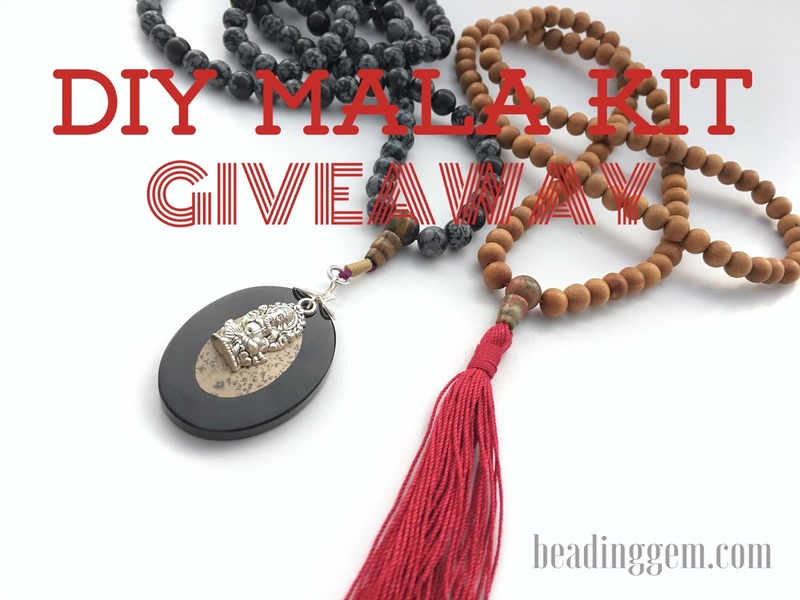 Last week's DIY mala giveaway from Shade of the Bodhi Tree garnered a surprising amount of interest. Some were clearly interested in meditations. There was a reader who practices Nicheren Buddhism who appreciated learning how to make malas. Another, Dragonswing, said, "Oh, wouldn't this be a cool gift for the people in my Tai Chi class as meditation is a part of our practice." Aims also said "I've been wanting to make some malas with some of my beautiful matte beads I got on Vancouver Island last year. I didn't realize there was a special way of attaching the charms and tassels so I'm more than intrigued by this offer." Jason Walz's tutorials and his special needles are both fabulous for learning how to make malas without any fuss. Those gemstone guru beads are not hard to thread if you have the right tools! So who won? I numbered all the eligible entries and got the random number generator over on random.org to do the picking. The winner is Lisa! She said,"I love the sandalwood the most!! I can almost smell the beads now!!" And she will be smelling them for real soon! Congratulations!